We are pleased that HB0937 was passed into law yesterday in Tennessee. HB0937 is the bill that increases the pay supplement from $600 to $800 for police officers and firefighters in Tennessee who complete 40 hours of in-service training. This is something that Tennessee PBA has advocated for, for several years. Following a brutal attack while on duty, Knoxville Police Department Officer B.K. Hardin is now recovering. Earlier this week, TNPBA Knox County Chapter Senior Vice President Kenny Bradley delivered a check to Officer Hardin. In November, the Police Benevolent Foundation and the Tennessee Division of the Southern States PBA opened a fund to raise money to help Officer Hardin. The community, locally and nationally, showed their support for Officer Hardin and he could not be more grateful. 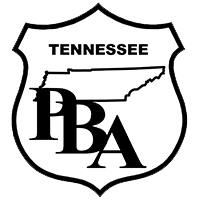 The TNPBA is proud to endorse Marsha Blackburn for US Senate. Please show your support at the polls.